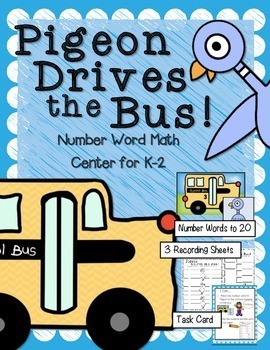 In this center, students will match the number word on Pigeon to the numeral on the bus. 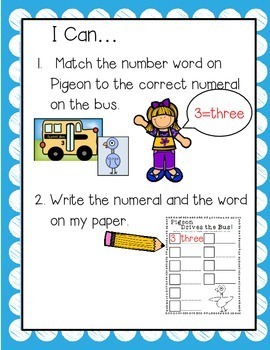 Numerals and number words are provided to 20. 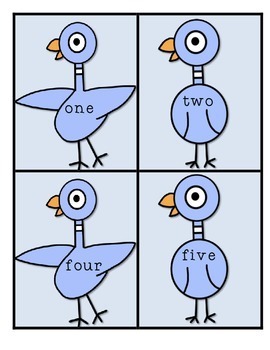 However, you can choose whichever numbers you want your students to work on. Three recording sheet options are provided. 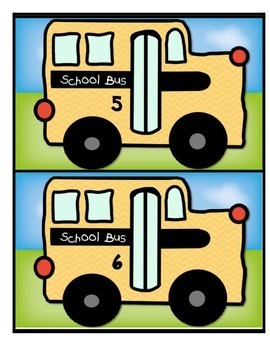 Print Pigeon and bus cards. Laminate and cut apart. Print desired recording sheet for each student. You are all set!! Please see the preview for example pages. I hope you enjoy this center!